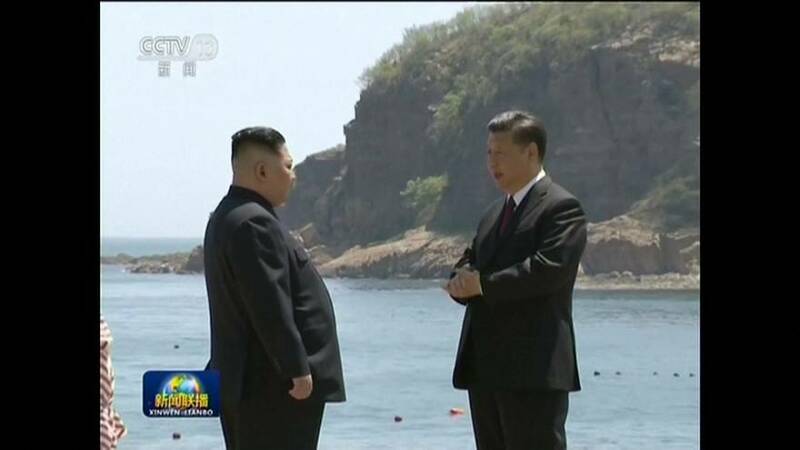 North Korea leader Kim Jong Un has made a second surprise visit to China to meet Chinese President Xi Jinping in the northeast of the country. The visit comes a few weeks before a summit scheduled between the North Korean leader and U.S. President Donald Trump. North Korea state media says the talks added important momentum to progress in bilateral relations. These had been cooled by Beijing's support for UN economic sanctions aimed at curbing Pyongyang's nuclear weapons programme. The North Korean leader said he also wanted to cooperate with China more actively amid a changing situation on the Korean Peninsula. Meanwhile, President Trump says he is set to speak with Xi Jinping to discuss trade and North Korea, as both sides continue talks after failing to reach a consensus at a meeting in Beijing last week.